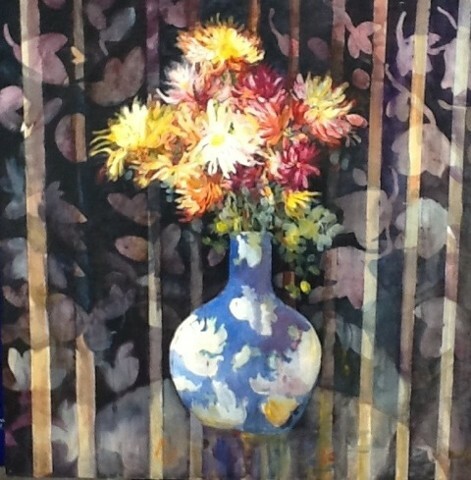 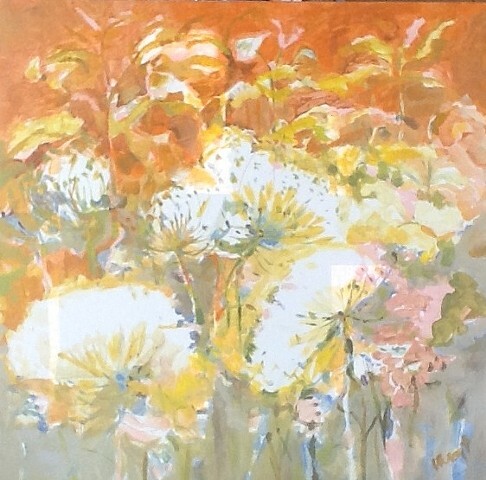 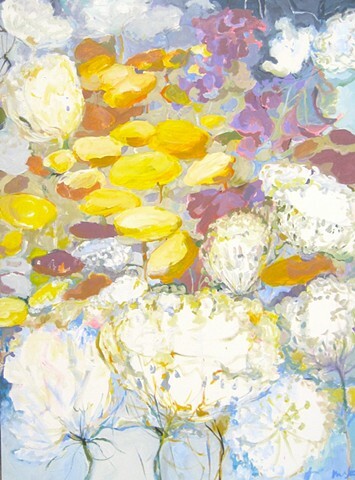 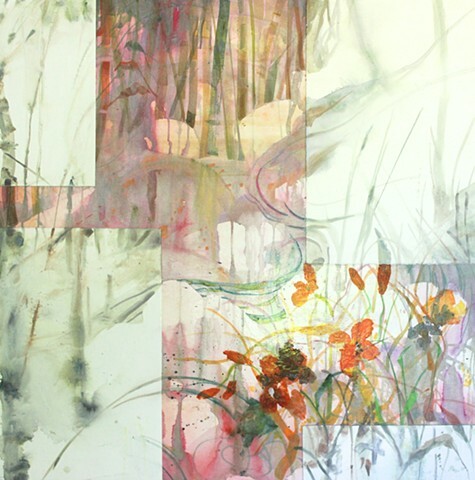 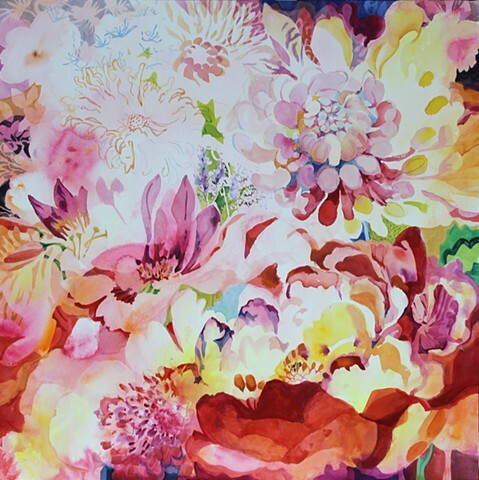 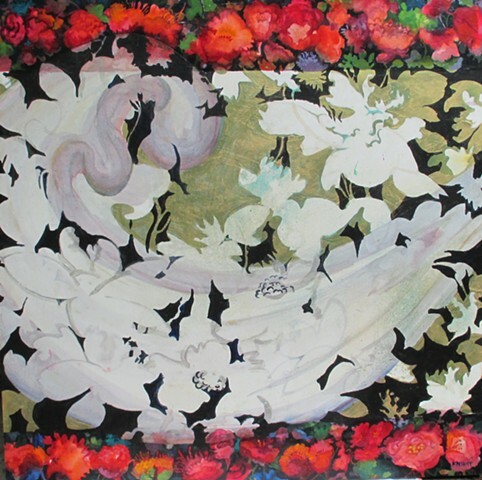 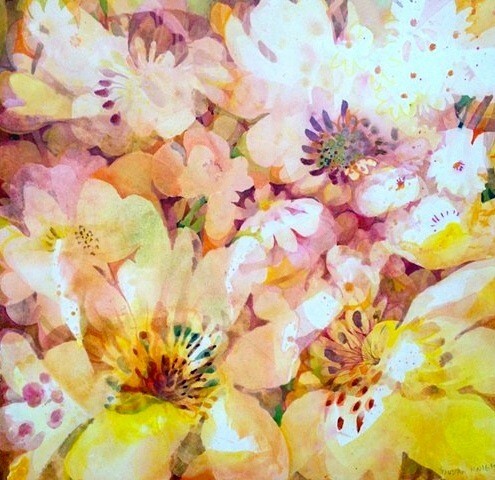 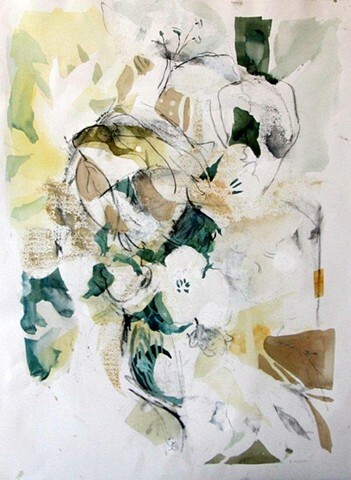 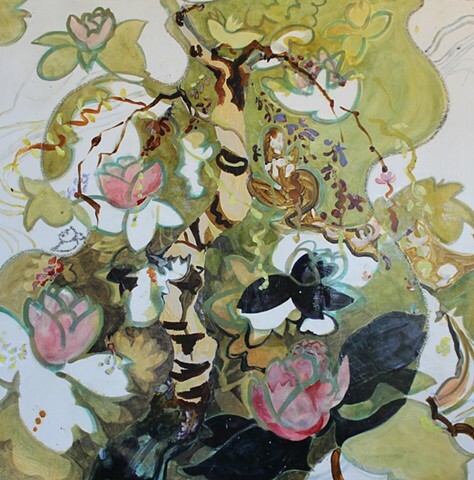 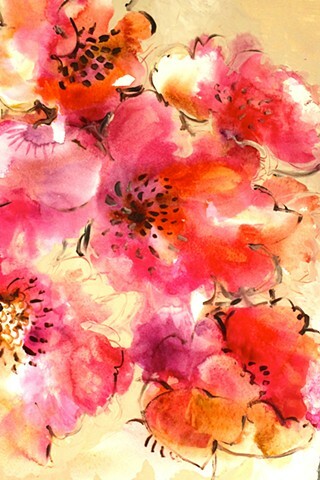 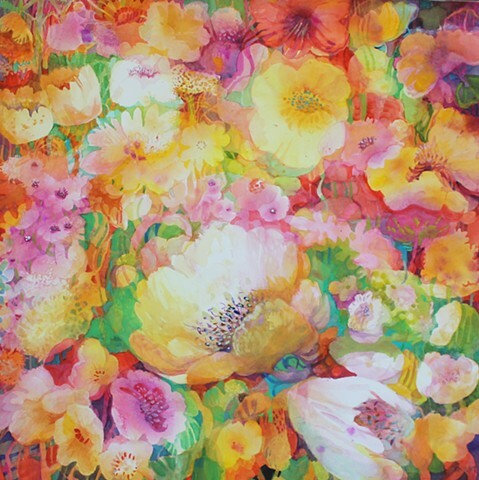 These paintings explore the diversity of design and color in an abstract floral motif. 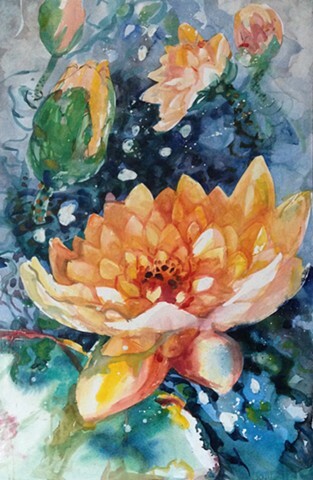 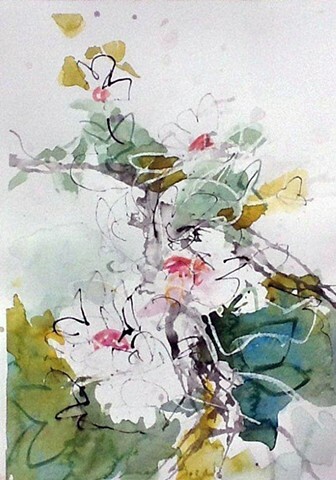 They are rarely drawn first, in fact I am often not sure what flowers will develop...As they appear in the beautiful bits of watercolor pigment the surface moves in and out. 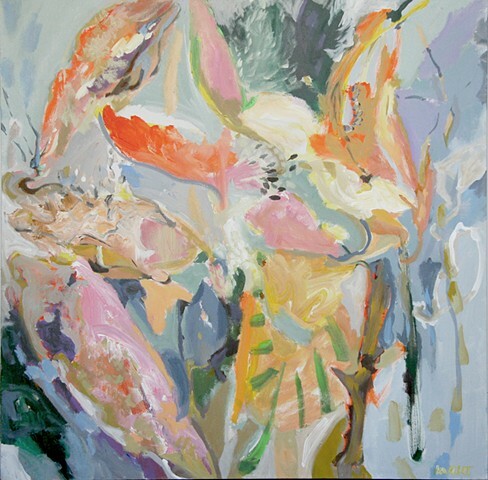 Most of the work is in painting 'negatively' ...its a continual process of discovering and refining the flowers and leaves and deep spaces. 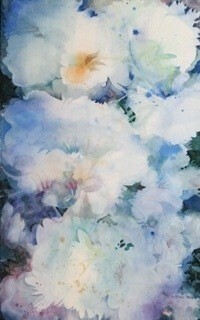 Cool Blue 30 x 48"
30 x 30 x 2"